I don't really have time to get into the petty aspects of who "started it" or who "won" between West and Sharpton, and to be honest, it doesn't really matter. If that was your only take away from last night's exchange then we've already lost. What does matter, however, is that each of them made excellent points about advancing the Black Agenda and holding the government accountable to the Black Community. 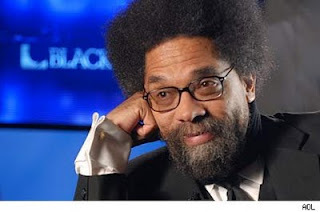 For example, Cornel West's primary argument is that President Obama is not speaking on the tangible areas that affect the Black Community because to do so would be to run counter to certain interests (including corporate interests) to which he is beholden. As support, he cited to the fact that the White House has not proposed a jobs bill that addresses the 15.5% unemployment rate among the Black Community, nor did Obama personally speak on the highly controversial and racially tinged "stop and frisk" practices of the NYPD during his recent visit to Harlem. Sharpton's primary argument, on the other hand, is that the Black Community (including the CBC and Black Academia) who rallied in 2008 to usher in positive change for the Black Agenda somehow mistakenly assumed that their own personal involvement in the movement ended with the election of President Obama, who many of them mistakenly percieved as a messiah who was supposed to solve all of their problems for them. As support, he cited to the fact that the same problems that face the Black Community today are the same problems that have gone unanswered for the past several decades on the CBC's watch. Even though it may seem like an impossible exercise in cognitive dissonance, both of these men are, for the most part, correct. To West's point, Obama has refrained from rocking the boat on issues of race, but can we really blame him? He merely suggested that the cops who arrested a Black professor in his own home acted stupidly (a completely reasonable observation, mind you) and all of a sudden he's accused of being a "racist" with a "deep seated hatred for White people" on national television. Never mind the fact that his mom is white, grandparents are white, and 80% of his cabinet is White. None of that mattered. What mattered is that White America's deepest fears about Obama's Blackness were easily manipulated by a simple-minded idiot whose own argument contradicted itself. Notwithstanding the fact that the first Black President must clearly walk a fine line in White America, however, there are certainly areas (such as the NYPD issue) where even if he must refrain from playing the "angry black man" card to the White public, he could, at the very least, dispatch his right hand man Eric Holder to help the Black Community. Indeed, seeing as how the prison industrial complex comprises a large portion of the problems plaguing the Black Community, Holder's position as head of the Department of Justice could go miles in addressing decades of racial injustice. To his credit, Eric Holder has used his office to help the Black Community, but I feel this is an area of Obama's arsenal that could (and should) be doing a whole lot more to address the Black Agenda. 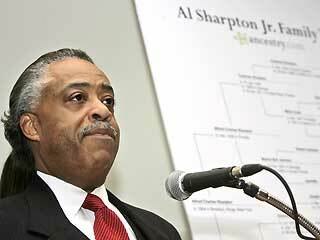 To Sharpton's point, it is true that many Obama supporters - especially within the Black Community - fell victim to the faulty assumption that upon winning the election we could simply kick back, put our feet up, do nothing, and let Obama solve all of our problems for us. Sharpton is correct: that is "hogwash." Despite America's perception that the President is the most powerful person in our country, the President is actually quite limited, both legally and politically, in what he or she can accomplish. For example, The Civil Rights Act of 1964, one of the greatest pieces of legislation ever produced by Congress, did not become law simply because President Kennedy or President Johnson wanted it to be. No. It took an entire movement by the people applying pressure on their Congressmen and Senators which culminated in the infamous march on Washington by Martin Luther King, Jr. And, it's notable to observe that the movement for the Civil Rights Act started in the 1950's and did not end simply because President Kennedy was elected in 1960. Just imagine where we'd be if this current generation of instant-gratification Obama critics were responsible for getting the Civil Rights Act of 1964 passed through Congress. Not a good look. That being said, this President is certainly guilty of not showing enough leadership on issues that affect not only the Black Community, but also the poor. To his credit, he passed the Health Care Act which will benefit the 20% of Blacks who were without health care, but when it came time to take a stand on the Public Option he folded. And also to his credit, he passed the Stimulus which has successfully reversed the job-loss trend set in motion by Bush 43, but Black unemployment still remains at double the national average. These are issues where the President can (and should) break away from the safety zone of being a middle-of-the-road politician and actually take a principled stand along with the people. Stir things up. Piss some people off (they're already pissed off anyway so you might as well give them a reason). And for Pete's sake, take charge of the narrative for crying out loud! In the game of politics, perception is reality, therefore he who controls the narrative controls the political capital of the nation. By allowing the conservative Right to convince the nation that the largest problem we have is our government's debt - as opposed to the problems facing the people such as unemployment - Obama has inadvertently damaged any chances he would have had in passing programs that would help the Black Community. That's what happens when you don't take the lead. Are we ALL (Obama, you, me, your pastor, your Congressmen, your kid brother, etc.) doing everything that we can in order to advance the Black Agenda?